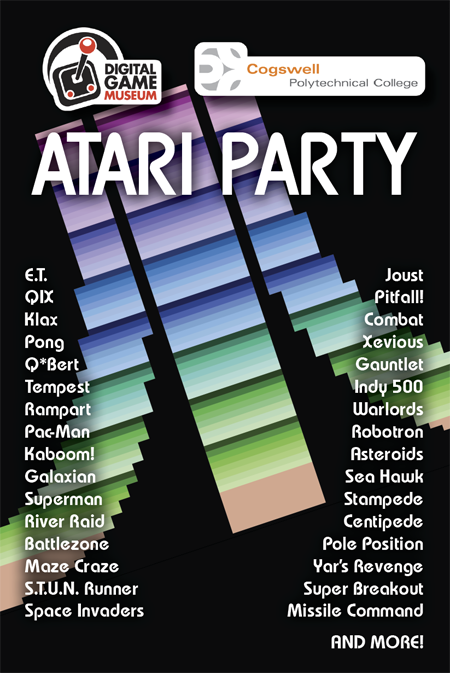 We’re having an Atari Party! 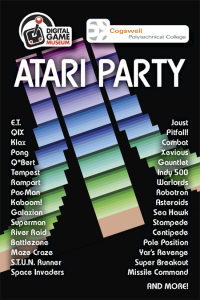 Join us as we team up with Cogswell Polytechnical College to celebrate with a day of classic Atari games, prizes and more! Sign up at Eventbrite today! Special guest: Al Alcorn, Atari employee #3 and the creator of Pong, will speak about his early days at Atari and the development of Pong! Sunnyvale, CAFree admission for all! Over 300 games! Play, spectate, and kibitz!